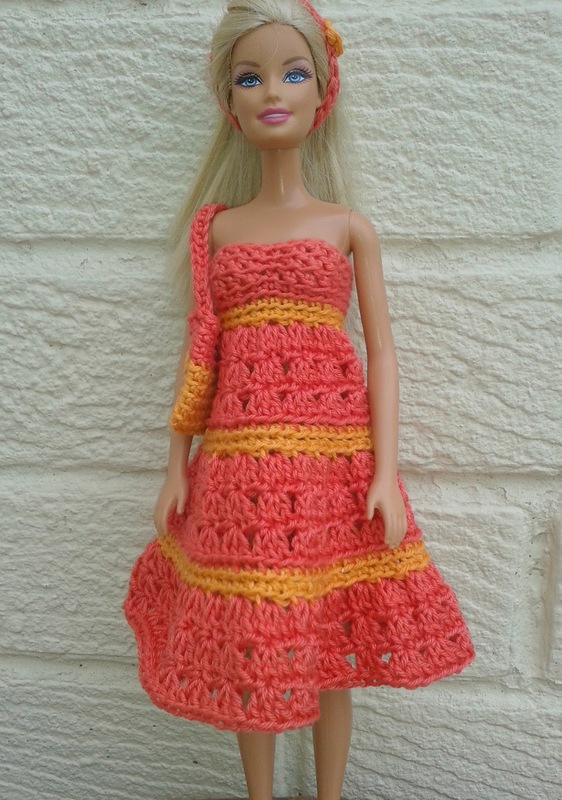 Here's another sundress for Barbie. This is a version on my earlier sundress but I've jazzed it up a bit. 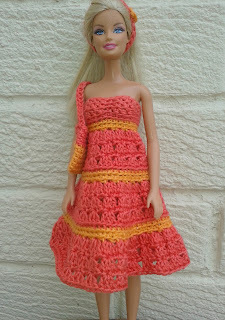 I've also added a hairband - just make enough chains to fit round the doll's head then work a round of dc. The dress is a pull on, great for small hands, has a shaped bodice and worked in one piece from the top down. 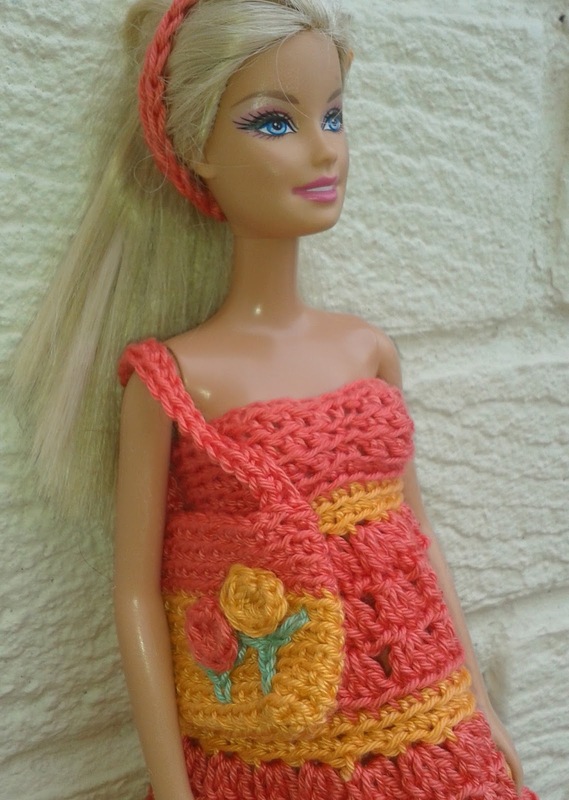 Make sure the bodice is a tight fit so it stays put, or you could make straps as in my other summer dress pattern. Please leave me a comment if you make this item - i value feedback. Repeat last round 2 times. Using no 3mm hook and main colour, make 24 chain. Work one row dc. Pull yarn through and fasten off. Stitch strap to bag.